100 Diagrams That Changed the World is a fascinating collection of the most significant plans, sketches, drawings, and illustrations that have influenced and shaped the way we think about the world. From primitive cave paintings to Leonardo da Vinci's Vitruvian Man to the complicated DNA helix drawn by Crick and Watson to the innovation of the iPod, they chart dramatic breakthroughs in our understanding of the world and its history. Arranged chronologically, each diagram is accompanied by informative text that makes even the most scientific breakthrough accessible to all. Beautifully illustrated in full color, this book will not only inform but also entertain as it demonstrates how the power of a single drawing can enhance, change, or even revolutionize our understanding of the world. 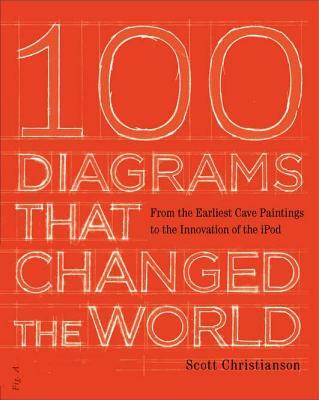 With its iconic images and powerful explanations, 100 Diagrams That Changed the World is perfect for readers of The History of the World in 100 Objects, and is the ideal gift for anyone interested in culture, history, science, or technology. DR. SCOTT CHRISTIANSON is a prize-winning author and investigative reporter who also works in documentary film. He lives in the Hudson Valley in upstate New York.